Once a year a cute, fun group of my friends and I go on a Retreat. On this retreat every one brings projects/crafts etc. to work on. We laugh, we eat good food, we get some things done and in general just take a time out. 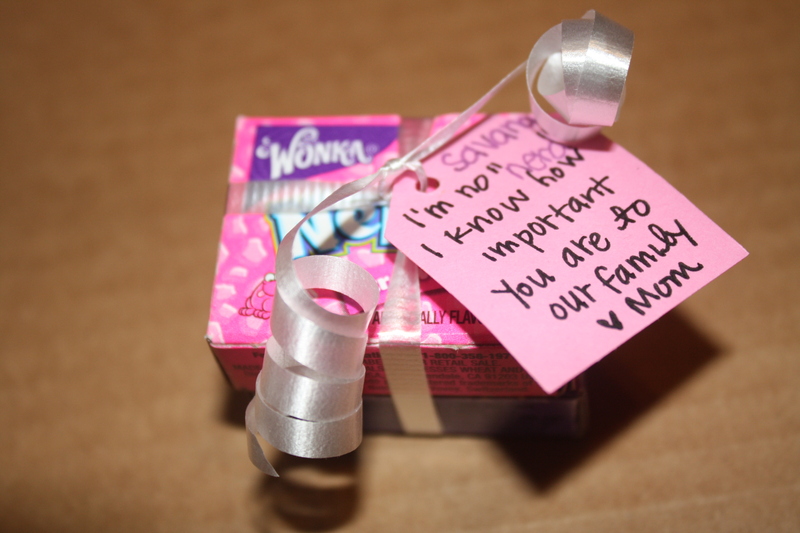 For this post I wanted to share the tradition that I have of leaving love/treat notes for my family when I go on a retreat like this or some other trip. For some reason I have always enjoyed playing on words. 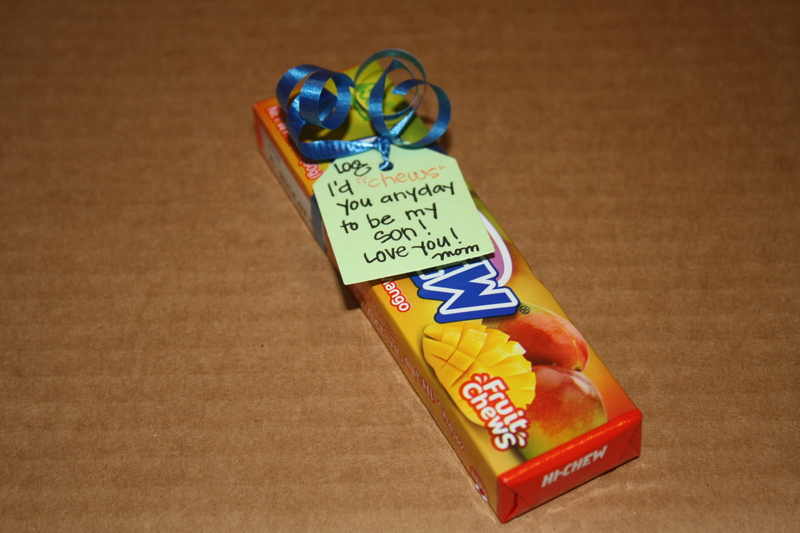 Over the years I have come up with many a “corny” saying to put on a love note or what I call a “treat” note. 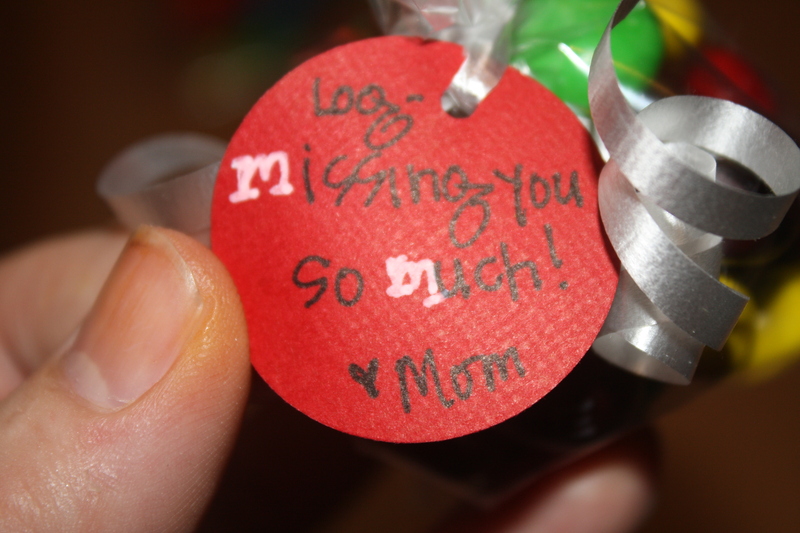 In this post I will share with you the 4 notes that I left for my family to find – one each day for the time I was gone! You will find below 2 pictures for each days note. 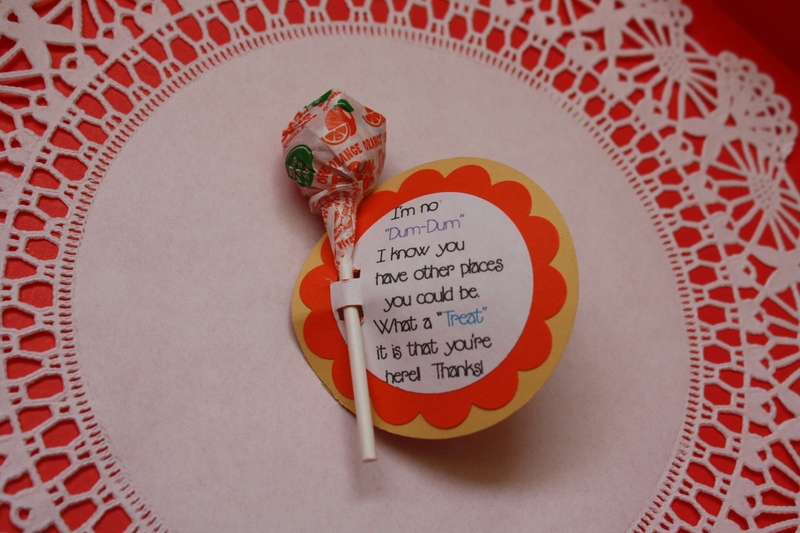 The caption under each picture of a single item tells what the “Treat” note said. Under the second picture the text just gives you a time frame of when my family received that note! I was gone from Wednesday at 1 pm until Saturday at 12 pm. The first days notes were left out for after dinner. The other days notes were put by my husband’s bed which is where our family gathers nightly for family prayer. 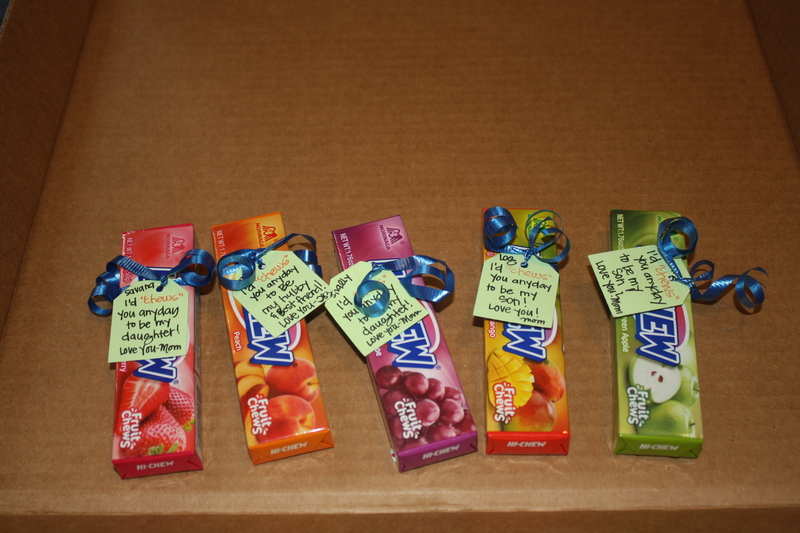 The treats were bagged up and the bags were labeled with which day the treat should be received. Then the work was left to my husband to make sure they got passed out to the children. This tradition is one that my children love and enjoy. I find myself stretching to come up with new treats and new sayings that I haven’t used before – I am not always able to do 100% original ones but I do try. Take a minute and think of a “treat” note you could give to a loved one and do it today or tomorrow would be ok! 🙂 Just as long as you find an excuse to share your love through a note soon!! Hope your day is just “peachy”! 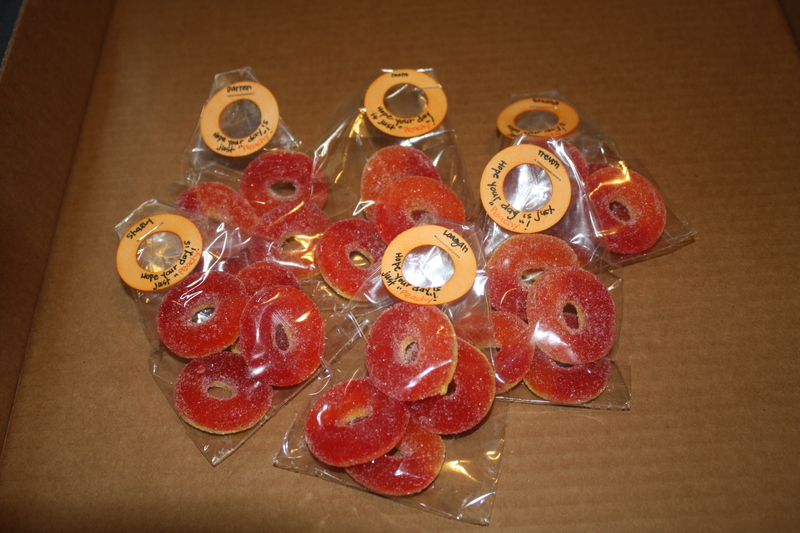 Here they are all ready to go in a bag with the date the family is to receive them on! 1 for each child and my hubby for the 2nd day I am gone! notes for the family for the last night I am gone! When I was the PTA President at our elementary school I liked to provide some kind of treat/favor for the fine folks who took time out of their busy schedules to attend one of our meetings! Sometimes I just had chocolates wrapped in school colors laid out on the tables. But other times I was a bit more organized and provided a “thank you favor” at each person’s place along with a copy of the agenda and a pen or pencil. Shown here are two examples of “thank you favors” given at a couple of said meetings. The top one has a dum-dum sucker with this note attached: I’m no “Dum-Dum” I know you have other places you could be. What a “treat” that you’re here! Thanks!! The second one, shown below, consists of a mini sack that looks like notebook paper “cute”d up with our school colors and a Bengal “paw”! 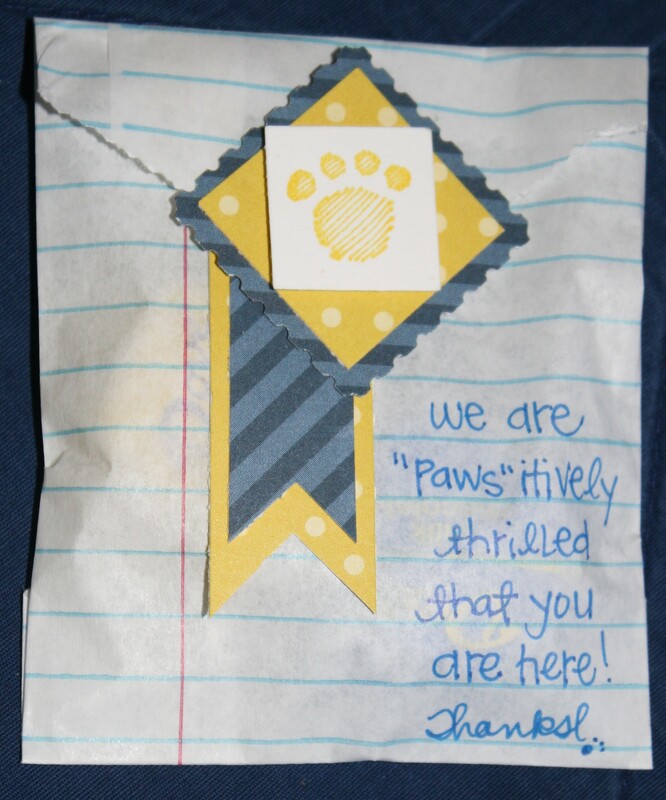 It reads – We are “paws”itively thrilled that you are here! Thanks! I filled the bag with some of the aforementioned chocolate wrapped in blue & gold (our school colors)! 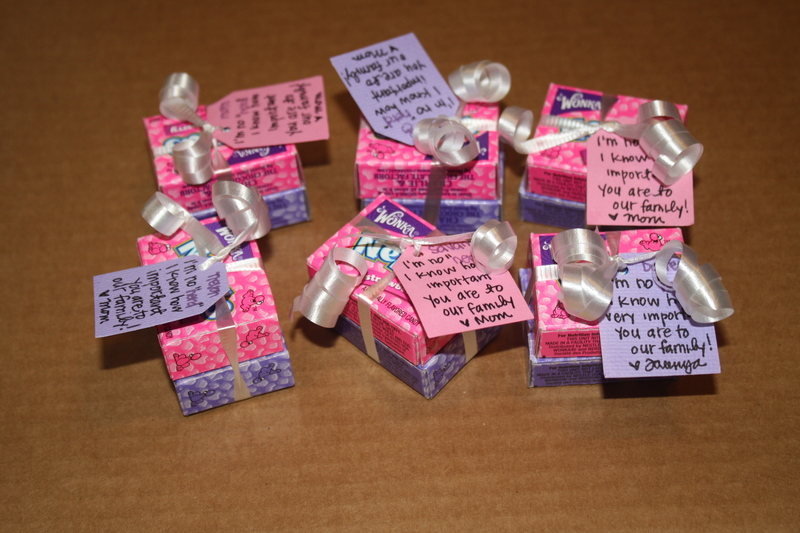 I sincerely hope that the recipients enjoyed their favors as much as I enjoyed making them! Sometimes a little effort can go a long way towards making someone feel Thanked & Special! And, well, anyway, CUTE matters, so CUTE is what I strive for! How about you think about what you strive for or what you want to share with the world – Then go forth, make a little effort and SHARE!! Thank you favor at one of last PTA meetings of 2013. 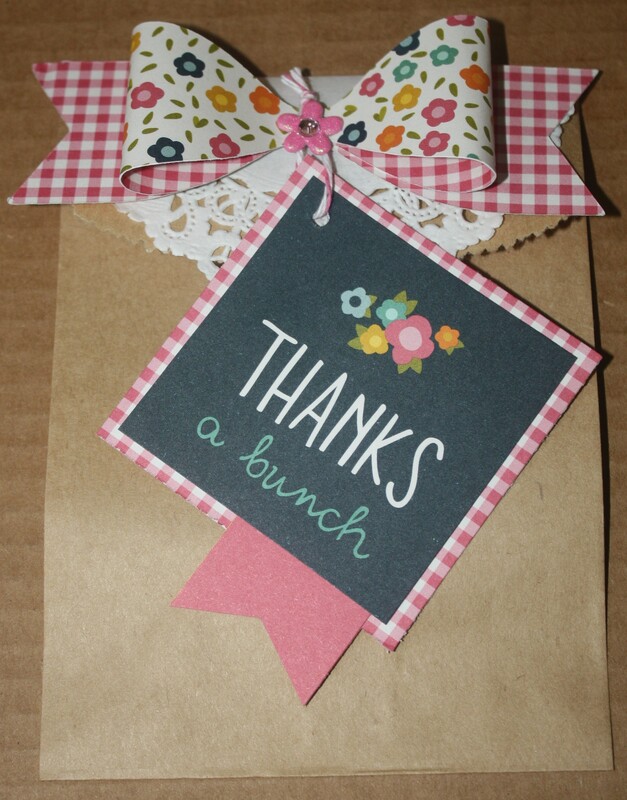 For today’s appreciation idea I wanted to show how I used a paper purse diecut from Pebbles in my Pocket to hold some yummy Lindt truffles and make a cute thank you. 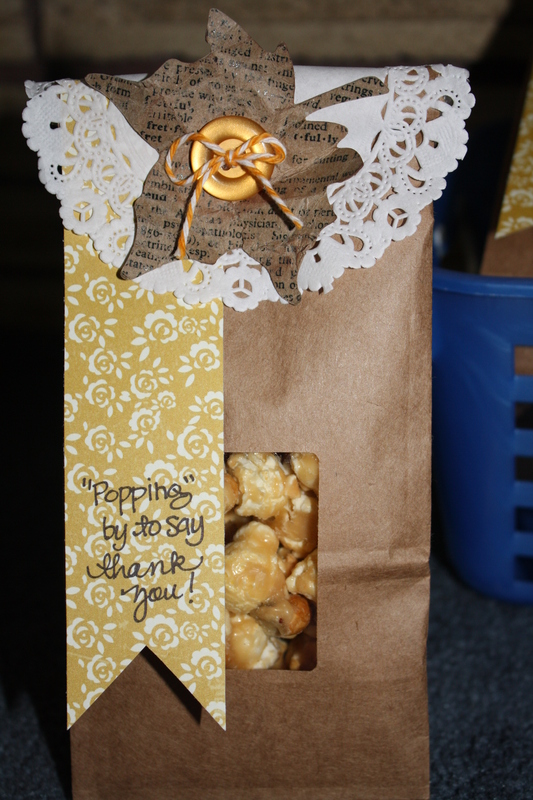 This thank you was for the Aides or Educational Support Professionals at our school. They do many things and deserve our thanks as well. So I found purses diecut in a cool measuring tape type patterned paper. 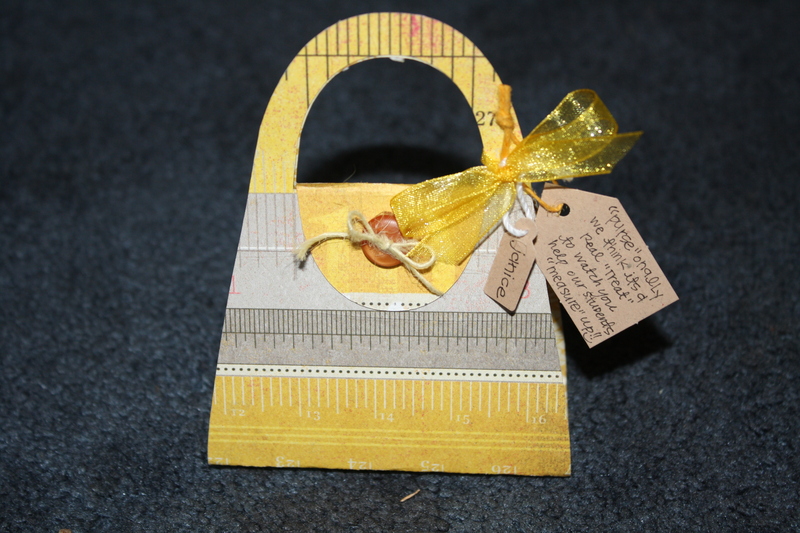 This gave me two words to play off of – purse, and measure. The caption under the picture shows what I went with. I added mini tags to label them individually for each person. I think that adds to the value of the Thank You because it shows the receiver that the thanks were meant for her specifically. 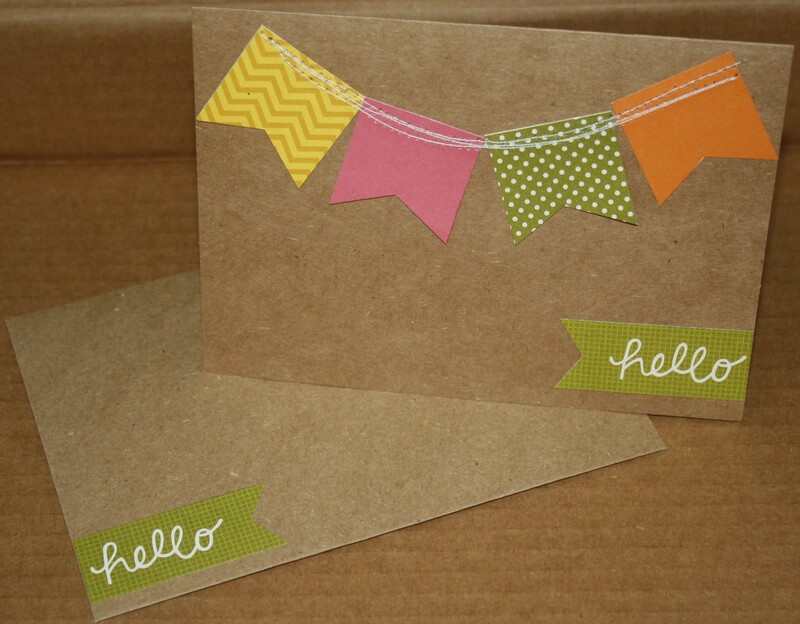 Then any cuteness you can add – ribbons, twine, buttons, etc. There you have taken time to make something beautiful to brighten someone else’s day! “Purse”onally we think it’s a real “treat” to watch you help our students “measure” up!! There’s nothing “mini” about how we feel about you – you are A”m”azing “&” “m”arvelous!! This was made for the Lunch Ladies at our school. It was simple and fast. 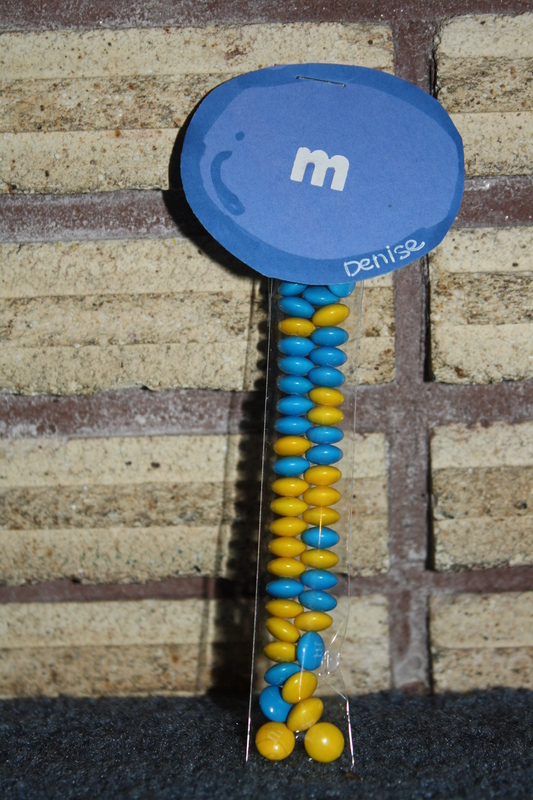 I used only yellow & blue m&m’s because those are our school colors. The message was written on the back of the blue circle. 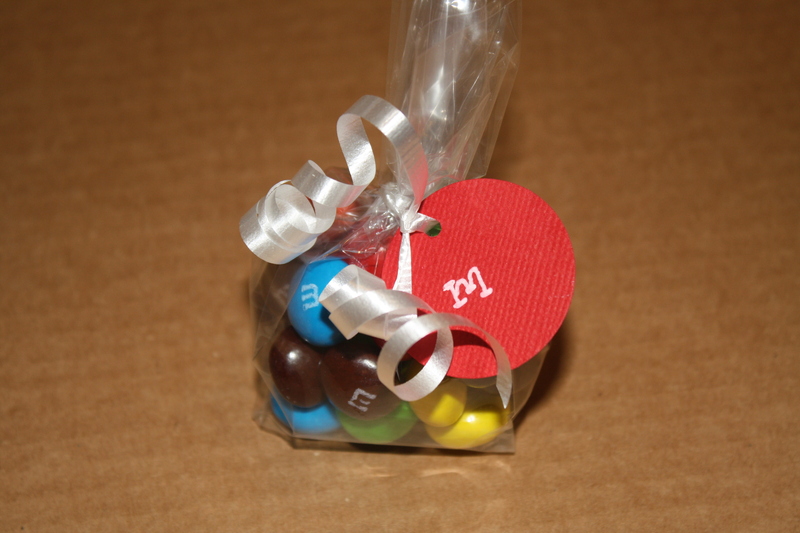 I added a white m to the blue circle to make it look like an m&m. Any color could work, I chose according to our school colors. 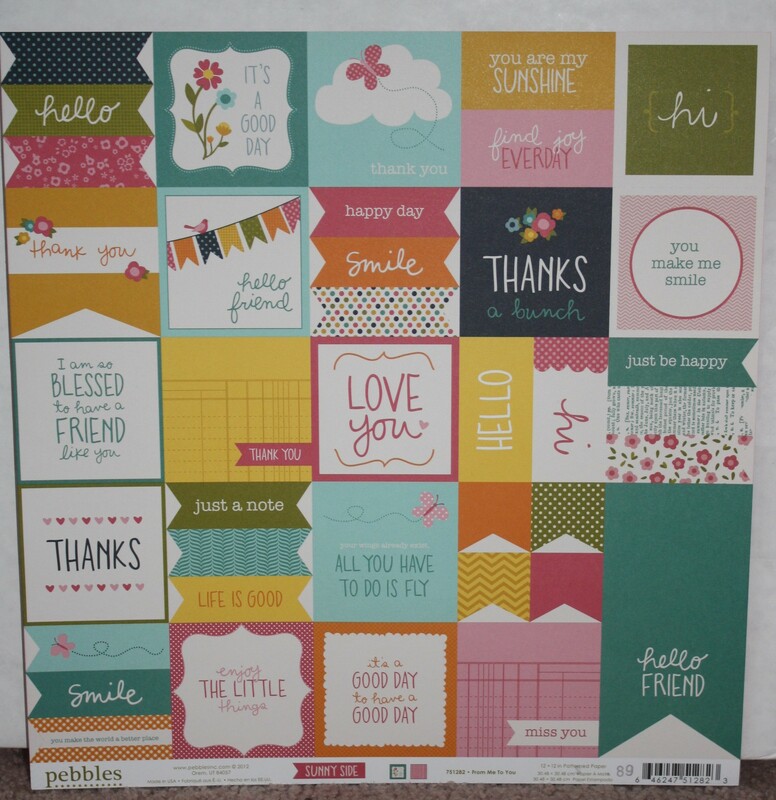 The cello tubes were purchased through Stampin’ Up! 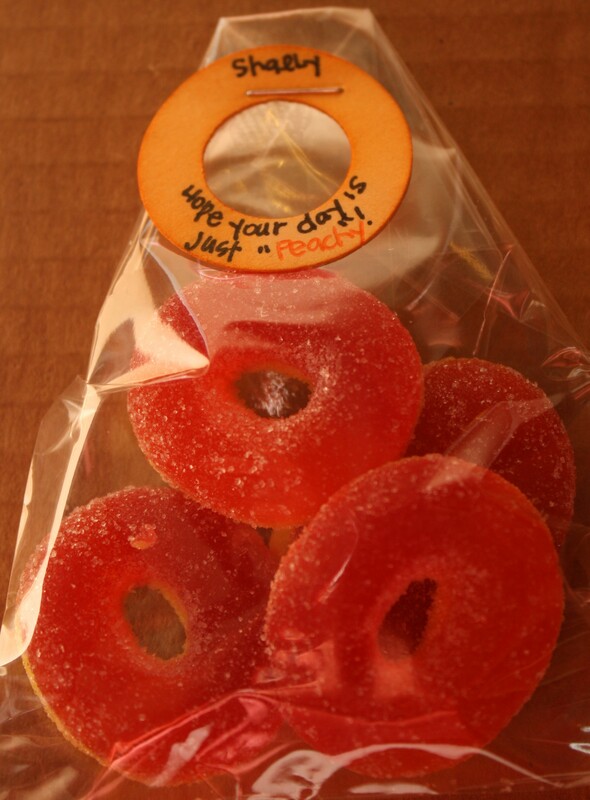 but a bag for a single pretzel rod could work as well. 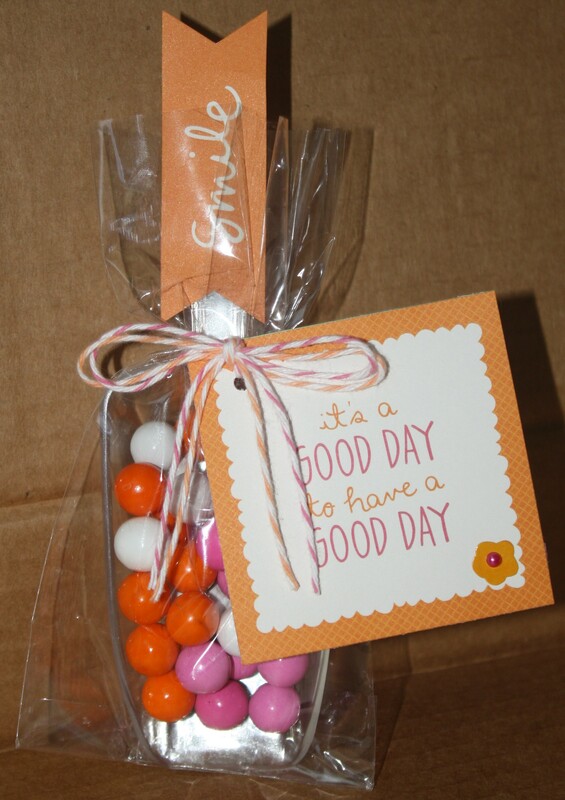 See how a saying and a treat can add fun to a thank you!! As you can see from my list I do have things I want to share and I WILL as soon as my courage increases, my knowledge grows and I begin!